Read about CCI advisers and schedule an appointment. If you have been invited to interview with an employer, CCI advisers can help with a practice interview. The deadline for the Summer Funding Applications was April 6. What Will Be Your Summer Story? One of the most exciting chapters of your Middlebury education can be participating in an internship! An internship provides an opportunity to explore your interests and gain real-world experience -- you might follow a personal passion, connect to your academic work, volunteer with a not-for-profit organization, or confirm your interest in a particular career path. Whether you are teaching environmental education to children, crunching numbers inside a city office, or helping an international NGO achieve its mission, CCI is here is help you dream big and accomplish your goals! Provides "real-world" experience beyond the classroom. Involves reciprocity, i.e., a mutually beneficial experience for both the student and the internship provider. Includes a high level of supervision, training, and mentoring. Typically takes place in winter term and/or summer. May be credit bearing, except for summer internships. May be a self-directed project. Can be local, domestic, or international. Want to find an internship? Interested in funding your summer internship? Looking for credit for your Winter Term internship? Need help focusing on where to start? According to a 2014 national survey, 95% of employers said candidate experience is a factor in hiring decisions. 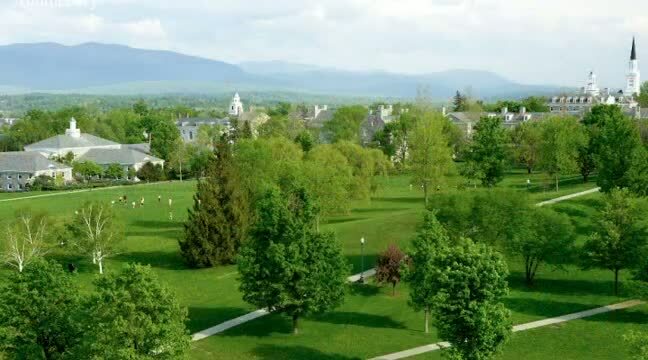 Completing one or two internships during your time at Middlebury will give you that valuable experience! Camille Kenny '14 pursues her dream of a career in music. Summer Funding application materials are available on our Fund page.